Care about protecting Peruvian antiquities? Comment for the State Department! 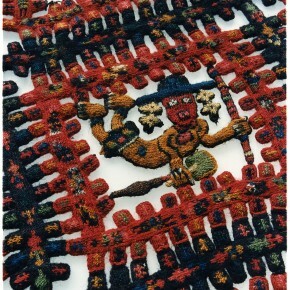 The cultural property protection agreement between US and Peru is being reviewed, can you help? Last spring, as you all may recall, I called upon you all to send in comments about the need to extend a bilateral agreement between the US and Bolivia to prevent the illicit export and import of Bolivian antiquities. I also published my own letter. Well, I’m making the call again and this time the focus is Peru. The U.S. Cultural Property Advisory Committee will meet on October 25-27 to review the proposal to extend an MOU with Peru that creates U.S. import restrictions for certain types of archaeological and Colonial period Peruvian cultural property. The MOU also encourages professional development, loans for cultural, educational, and scientific purposes, and other actions to enhance appreciation and protection of Peru’s cultural heritage. The Committee finds first-hand experiences related to looting, theft, trafficking, the art market, or scientific and educational exchange to be particularly valuable for informing their recommendation on whether to extend the MOU for 5 additional years. Comments may be made in person on October 25 in Washington, D.C., or in writing at www.federalregister.gov. The deadline to register to attend the meeting or submit comments is September 30. Information on how to attend the meeting and how to comment can be found in the Federal Register notice. First-hand observations of looting since June 2012 can also be shared confidentially by emailing or calling me, Allison Davis, at davisar@state.gov or 202-632-6305. I am happy to answer any questions about the MOU or review process by phone or email. Information regarding the MOU can be found on the Department of State’s Cultural Heritage Center’s website. Personally, I will be commenting mostly on (1), noting several recent cases of looting of Peruvian sites and major church theft. I will also be commenting a bit on (3), as I can say that the US is the primary market for some of the types of things that are stolen from Peru and will end with (4). I believe (2) to be the case, but I don’t have anything much to offer on the topic at the moment. I’ll post my letter here when it is ready. The Society for American Archaeology is also seeking archaeologists with knowledge of the topic and who live in the DC area and can comment in person; if you are planning or considering attending and speaking, please contact SAA Govt Affairs Manager David Lindsay at david_lindsay@saa.org. As someone who has commented in person twice at these meetings, I highly, highly, highly recommend that any expert do so. Please do. I hate to go there, but let’s look at it from purely “making your Uni employer happy” terms. By showing up at this meeting and answering questions, you can display that your research is influencing policy. That’s like gold around here, and is probably the same where you are. I applied for ‘Knowledge Exchange’ funding from my Uni to go to the last one and everyone thought that was a good way to spend such money, your Uni might feel the same way. Give it a go, do the right thing.